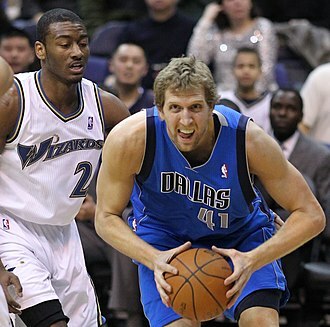 Among the players from both teams, only Dirk Nowitzki and Jason Terry of Dallas, and Dwyane Wade and Udonis Haslem of Miami, appeared in the 2006 series with the same team. Heat center Erick Dampier played for the Mavericks in 2006. Aside from Dampier, Caron Butler, Juwan Howard and Shawn Marion are the only other players who have played for both the Mavericks and Heat. 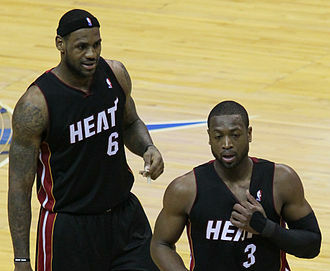 Eddie House, Žydrūnas Ilgauskas, LeBron James (since 2011, James would reach the finals every year with both the Heat and the Cavaliers) and Jason Kidd have appeared in the Finals with different teams, with House (as a member of Boston's 2008 championship team), Wade and Haslem winning a championship ring. Mavericks head coach Rick Carlisle won a championship as a reserve for Boston's 1986 championship team making him only the eleventh person in NBA history to win a Finals as both a player and a coach. Mark A. Jackson is an American former National Basketball Association player and former basketball coach. After retiring from playing basketball, Jackson became a broadcast commentator for ESPN and ABC alongside his former coach Jeff Van Gundy and he worked as an analyst for The YES Networks New Jersey Nets games. 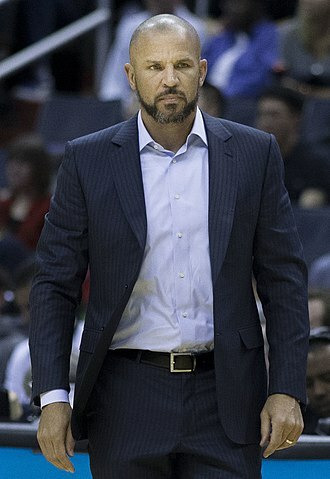 In 2011, the Golden State Warriors hired Jackson as head coach and he coached the team for three seasons, but was fired in 2014 despite leading the Warriors to consecutive playoff appearances for the first time in over 20 years. On May 17,2014, Jackson reached an agreement to return to ESPN as a game analyst. 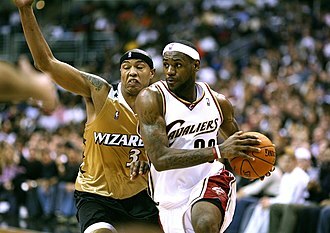 Mark Jackson was born in Brooklyn, New York, Jackson was regarded as one of the nations elite point guards while attending Bishop Loughlin Memorial High School in Brooklyn under coach Patrick Quigley. Jackson gained a reputation as a streetballer in New York and a college star at St. Johns University. While at St. Johns, he played alongside Olympian and NBA All-Star Chris Mullin for one year and he credits Mullin with teaching him the importance of rigorous practice work in the gym. 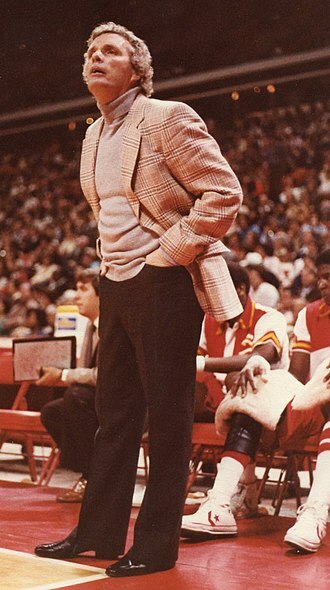 While at St. Johns, Jackson had the habit while at the free-throw line of extending his hand and cupping his thumb. This helped him stay focused on the rim while shooting foul shots and he continued this well into his pro career and it helped him to a career 77. 0% free-throw percentage. Jackson was the 18th pick of the 1987 NBA draft by the New York Knicks and he teamed with Patrick Ewing and Charles Oakley to turn the Knicks into a prime playoff team in the late 1980s and early 1990s. However, before the Knicks peaked and became regular playoff contenders and he is the only non-lottery pick to have won the award since the introduction of the system in 1985. 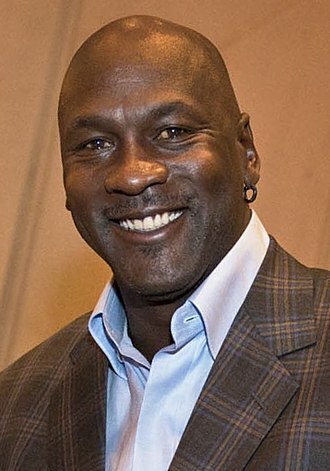 After sweeping Charles Barkleys Philadelphia team in the round, the Knicks faced the upstart Chicago Bulls, led by Michael Jordan. Following a contract prior to the 1990 season, Jackson began to lose his All-Star form. Jackson was traded to the Indiana Pacers for Pooh Richardson, Malik Sealy, with the Pacers, he teamed with Reggie Miller, Rik Smits, Antonio Davis and Dale Davis for six seasons to make the Indiana Pacers a contender. Christopher Wesson Bosh is an American professional basketball player for the Miami Heat of the National Basketball Association. 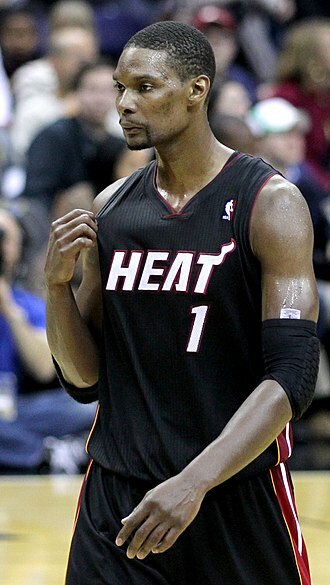 A high school Mr. Basketball in Texas, Bosh left college at Georgia Tech after one season with the Georgia Tech Yellow Jackets mens basketball team to enter the 2003 NBA draft. 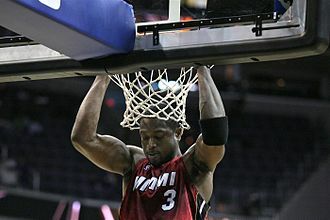 He was selected fourth overall by the Toronto Raptors in a class that included multiple future NBA superstars such as LeBron James, Dwyane Wade. 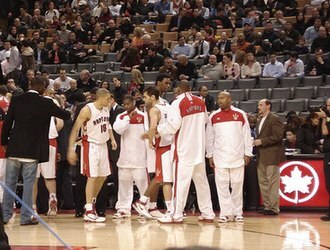 In the 2006–07 season, Bosh led the Raptors to their first NBA Playoffs berth in five years and he left Toronto for the Heat in 2010 as its all-time leader in points, blocks, double doubles, free throws made and attempted and minutes played. 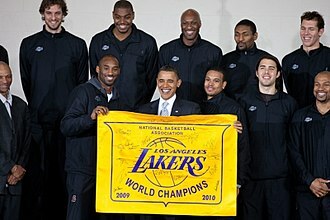 Bosh won his first NBA title after Miami defeated the Oklahoma City Thunder 4–1 in the 2012 NBA Finals and he won his second title in 2013 as the Heat defeated the San Antonio Spurs in the 2013 NBA Finals. Bosh was nicknamed CB4 by then-Toronto Raptors play-by-play commentator Chuck Swirsky, seeking to promote sports and education amongst youths in Dallas and Toronto, Bosh set up the Chris Bosh Foundation and regularly speaks to youths about the benefits of reading. 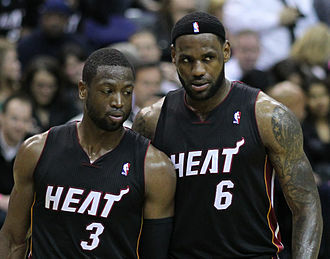 Born in Dallas, Texas, to Noel and Freida Bosh, Chris Bosh grew up in Hutchins, a family-oriented person, Bosh often played basketball in the house with his younger brother, Joel. By four years of age, he began learning how to dribble a basketball in the gym where his dad played pick-up games, apart from basketball, Bosh played baseball up until high school, preferring to play as a first baseman. Growing up, Bosh names his parents as the biggest influences on his personality and considered NBA superstar Kevin Garnett as his favorite athlete, modeling his play after him. The teenager went on to lead Lincoln High to win the Class 4A state title before 16,990 fans as he racked up 23 points,17 rebounds, Basketball in Texas by the Texas Association of Basketball Coaches. 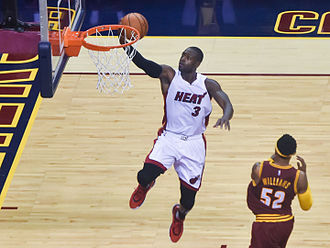 With his combination of grades and basketball skills, Bosh was on a number of college recruiting lists, the University of Florida and the University of Memphis made serious attempts, but it was Paul Hewitt, coach of Georgia Tech, who made the best impression. Michael Todd Mike Tirico is an American sportscaster. He is perhaps best known for his run as an NFL play-by-play announcer on ESPNs Monday Night Football from 2006 to 2015. Tirico called a multitude of programming for ESPN/ABC, including NBA basketball, golf and he was one of the anchors of ESPNs coverage of the FIFA World Cup, along with Bob Ley. Tirico left ESPN when his contract expired in the summer of 2016, Tiricos first on-air appearance on an NBC property came during the 2016 Open Championship on Golf Channel, serving as a studio host. Tirico joined ESPN in 1991 as a SportsCenter anchor, after four years as Sports Director at CBS affiliate WTVH-TV in Syracuse, New York, Tirico is noted for his versatile nature and the variety of assignments he has handled for SportsCenter. Tirico was the very first host seen on ESPNews, Tirico has handled the play-by-play for ESPNs Thursday night college football package, college basketball coverage, NBA coverage, and golf coverage for ESPN/ABC. Tirico has hosted coverage of various ESPN and ABC covered events, including a stint on ESPNs Monday Night Countdown from 1993 to 2001. He broadcasts NBA games on ESPN/ABC and usually does play-by-play for the NBA Finals on ESPN Radio and he anchored the 2009 U. S. Open and co-anchored the 2014 FIFA World Cup and UEFA Euro 2016. On May 9,2016, after a leak the prior month, Tirico signed off for the last time on ESPN on June 30,2016, during the conclusion of that days coverage of the UEFA Euro 2016 soccer tournament. Tiricos first on-air appearance on an NBC property came during the 2016 Open Championship on NBCs Golf Channel, Tirico moved to the studio host role in the afternoons on both Thursday and Friday, and he hosted all on the coverage on NBC proper over the weekend. Tirico served as a studio host and contributor for NBCs broadcasts of the 2016 Summer Olympics from Rio de Janeiro in August, richard Deitsch of Sports Illustrated suggested that Tirico could potentially succeed Bob Costas as the primetime host of NBCs Olympics coverage. Deitsch felt that Tiricos experience in radio could allow him to contribute to the NBC Sports Radio network, Sports Business Journal initially reported that Tirico would serve as NBCs lead play-by-play announcer for Thursday Night Football, and was likely to be a future successor to Al Michaels. William Anthony Tony Parker Jr. is a French professional basketball player for the San Antonio Spurs of the National Basketball Association. The son of a basketball player, Parker played for two years in the French basketball league before entering the 2001 NBA draft. 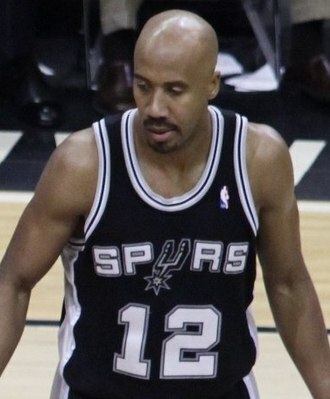 He was selected by the San Antonio Spurs with the 28th overall pick in the draft, Parker has won four NBA championships, all of which were with the Spurs. 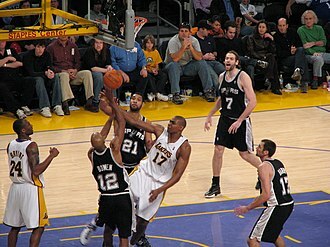 With his pace and high field goal percentage, Parker has been named to six NBA All-Star games and he was the 2007 NBA Finals MVP. Playing for the France national basketball team, Parker was named as the EuroBasket 2013 MVP following his teams victory over Lithuania in the medal game. 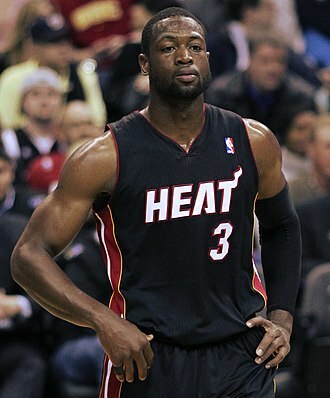 The point guard finished as the top scorer with 19 points per game. In 2015 he became the leading scorer in the EuroBasket competition. Parker is a music artist with his own music album and he married actress Eva Longoria on 7 July 2007. In November 2010, both filed for divorce. Parker was born in Bruges and raised in France and his father, Tony Parker Sr.
an African American, played basketball at Loyola University Chicago as well as professionally overseas. His mother, Pamela Firestone, is a Dutch model, Parkers great-uncle Jan Wienese is an Olympic gold medalist in rowing. Parker enjoyed close relationships with his brothers, and they would attend their fathers basketball games together. Parkers two younger brothers were heavily involved in basketball, T. J. and Pierre would go on to play basketball at college. As Parker built his skill, he played the point guard position, recognizing that his speed and he was eventually asked to attend the INSEP in Paris. After playing in the French amateur leagues for two seasons, Parker turned professional and signed with Paris Basket Racing in 1999, in the summer of 2000, Parker was invited to the Nike Hoop Summit in Indianapolis. 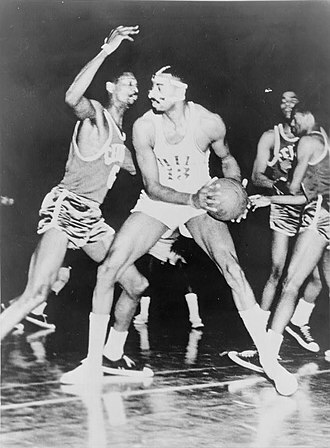 In a contest between the American and European All-Stars, Parker recorded 20 points, seven assists, four rebounds, the Frenchmans performance prompted a recruiting war among several colleges, including UCLA and Georgia Tech. 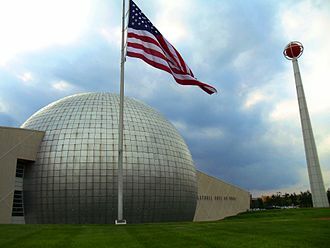 The 2010 World Series was the 106th edition of Major League Baseballs championship series. The Giants won the series 4–1 to secure their first World Series championship since 1954, in their respective League Championship Series, the Rangers and the Giants eliminated the 2009 World Series teams—the New York Yankees and the Philadelphia Phillies—each in six games. The Rangers victory in the ALCS gave the franchise its first World Series appearance in its 50-year history, the Giants were the first National League champions to have home-field advantage since 2001, because the NL won the All-Star Game 3–1 on July 13. For the second year, Series games were scheduled for earlier start times in hope of attracting younger viewers. San Francisco landmarks, such as Coit Tower, the Ferry Building, an exclusive VIP party was held on the eve of the World Series at the California Academy of Sciences, most media were not allowed near the event. 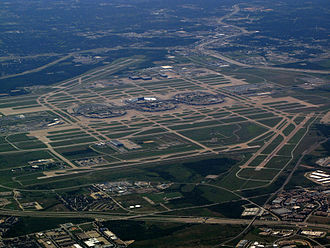 With three games slated in Arlington, this marked the 5th time the city hosted both a World Series game and the upcoming Super Bowl. 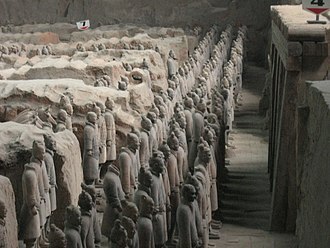 The Rangers and their fans had a history of futility. Enfranchised in 1961 as the iteration of the Washington Senators. 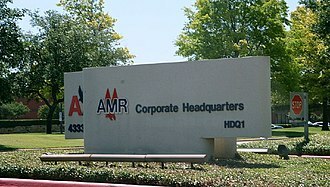 The team relocated to Arlington, for the 1972 season but failed to make the postseason for over 20 years. They went on to win three titles in 1996,1998, and 1999, but were eliminated by the New York Yankees in the ALDS each time. The Rangers last postseason appearance before 2010 was in 1999, heading into 2010, the Rangers were plagued with off-field issues. During spring training, manager Ron Washington admitted to prior cocaine use, in the offseason, Iván Rodríguez, Marlon Byrd, Omar Vizquel, and Andruw Jones all departed due to free agency. 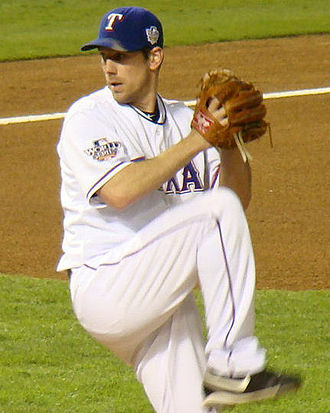 Kevin Millwood was traded to the Baltimore Orioles for Chris Ray, the Rangers traded two minor leaguers to the Florida Marlins in exchange for Jorge Cantú, and Joaquín Árias to the New York Mets in exchange for Jeff Francoeur. The Rangers spent most of the season in first place in the American League West and their.556 winning percentage was the lowest among all eight 2010 postseason teams. Édgar Rentería was named the World Series Most Valuable Player (MVP).